Sustainability refers to patterns of living that protect the Earth and shape the quality of life that the Earth is able to give. A sustainable world requires individual and collective action in both local and global communities. There are three systems in which attention to sustainability is necessary: environmental, social and economic. Why is ‘sustainability’ a part of the curriculum? Sustainability, one of the three cross-curriculum priorities, is a future-oriented concern. Teaching young people to respect the fragility of our ecosystems and to understand that their actions have consequences will ensure our world is a safe place for future generations. The curriculum calls for teachers to focus on the protection of natural environments and on creating a more ecologically and socially just world. The first step to developing sustainable behaviours is knowledge – effective action is informed action. In English, students should have the opportunity to examine texts that offer insights into different worldviews on sustainable living, and to create persuasive, informative or reflective texts about ways to live sustainably. Below we have curated a list of titles and resources that address the topic of Sustainability. You’ll find resources aimed at both Primary and Secondary teachers. Though the resources are linked to certain year levels, the activities are designed to be easily adaptable to other year groups. 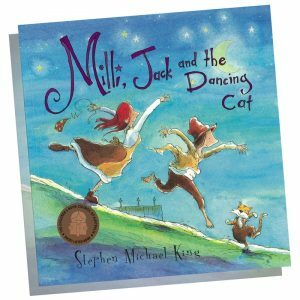 Through the character of Milli, who can make beautiful things out of old forgotten items, students will be introduced to the concept of recycling. Students can be encouraged to create artwork using recycled items, and engage in discussion about what recycling is and about what sorts of things can be recycled. This sweet story about following your dreams also conveys the importance of taking action that will preserve the quality and uniqueness of our environments. 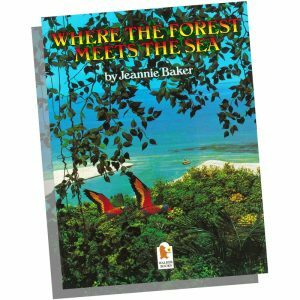 ‘My father says there has been a rainforest here for over a hundred million years.’ A boy travels with his father to an unspoiled beach and imagines what the environment was like in the past, and what it might be like in the future. Jeannie Baker’s picture book examines the effects of human impact on natural environments; the glimpse into the future is a warning to the reader that the effects could be damaging. A reading of this book could instigate classroom discussion about the importance of conservation. A performing bear forced to dance in front of crowds looks to the stars for his freedom. 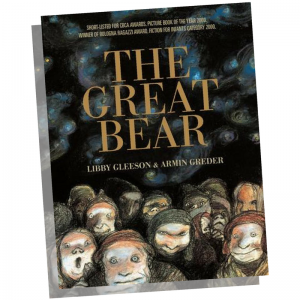 The Great Bear explores animal cruelty through illustrator Armin Greder’s powerful depiction of the sadness and hopelessness felt by the bear. Through this picture book, students will learn about two key concepts: that sustainable actions include respect for all lifeforms that share our ecosystems, as well as recognising that social justice and activism is an integral aspect of sustainability. In a future where the Earth has been devastated by natural disasters and a disregard for the environment, people with special abilities are hunted, locked in detention centres and experimented on. Some have fled the city and found refuge in the woods. 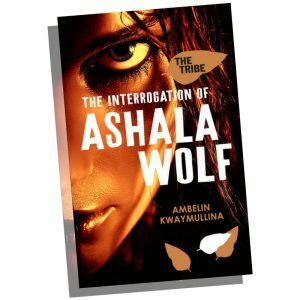 Like all excellent dystopian fiction The Interrogation of Ashala Wolf is a commentary on contemporary social issues, exploring environmental damage and the respectful relationship Indigenous Australians have with the land. 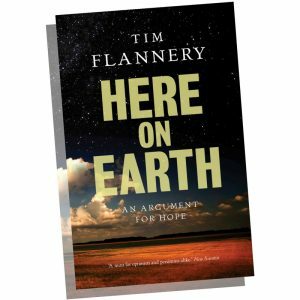 ‘We stand at a crossroads, where comprehension of our place in nature – of our true abilities and of our history – is supremely important.’ Tim Flannery, one of our leading voices on environmental issues and climate change, subtitled his book ‘An Argument for Hope’. It is a direct call for action to create a sustainable world. Students will explore the ways that science is written and read, the use of persuasive strategies in texts, non-fiction as a genre, as well as examine the varied responses to the text. 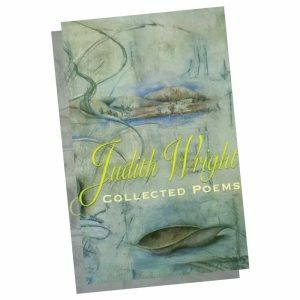 Judith Wright was a prolific poet and environmental activist, whose poetry collection often meditated on the human relationship with the Australian land, and later in her life, engaged more directly with environmental activism and conservation efforts. Her work often used recurring symbols to convey the interconnectedness of humankind and the natural world; the unit of work that accompanies her Collected Poems will lead students to consider an eco/environmental reading of her poetry.